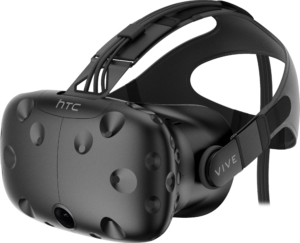 The Verge reports that HTC has cut $100 from price of the Vive VR package for Black Friday. This price cut is in effect across all retail sellers of the Vive and takes the price from $799 down to $699 USD. I had a chance to demo the Vive a few months ago, and found it to be quite impressive. The lower price certainly makes it more attractive. While still the highest amongst the major VR headsets like the Oculus Rift, and Playstation VR, the HTC Vive delivers arguably the best overall VR experience. And its included hand motion controllers really seal the deal. The Vive delivers the closest thing we have to a Star Trek holodeck-like experience. The sale is “while supplies last” which makes one wonder if HTC is clearing inventory for new hardware. They recently showed off new hand controllers, so it’s possible HTC is moving forward on including these in the next iteration of the Vive. The Vive has not sold at mass market levels to date, with the best available estimates putting those sales north of 450,000 units. And low end pressure from the recently released Playstation VR, which sells for $399 USD, probably won’t help with estimated sales of 1.5 million by year’s end. The Vive also lags the Oculus Rift with an estimated 650,000 units sold. But the Rift does not have motion controllers included. So assuming HTC manufactured an initial run of 500,000 (a total guess), I think a sale now might give them the bump they need to sell out that first batch. If they see good results on Black Friday, perhaps it will lead to an extension of the discount through year end. Many gamers would no doubt be happy with Santa for that kind of gift.